As a rule, the Atkins diet and alcohol do not mix. Any type of alcohol is strictly prohibited in the 2-week induction phase, and certain types of liquor should be avoided in later phases as well. Low carbohydrate diets discourage sipping those tasty Margaritas because alcohol gives you carbs and calories, and no nutritional value. However, you want to enjoy the things you’ve always liked and that includes taking a libation or two when you go out. Most fermented beverages (beer and wine) and a by-product, distilled spirits (hard liquor), started out as a high-carbohydrate fermentables such as sugar, grains, potatoes, or molasses in their raw form. During fermentation, yeast consumes sugar and nutrients and converts them into carbon dioxide gas and alcohol. The CO2 bubbles away and dissipates, leaving the alcohol and residual sugar. Dry wines have very little sugar left so will have around 3 to 5 grams of carbs, while sweet champagne will have 12 to 14 grams of carbs. Hard liquors have zero carbs because the distilling process leaves nothing but ethyl alcohol. However, mixers added to cocktails are sugary and high in carbs so that’s where the problem lies with mixed drinks. You can drink straight liquor as long as you use Seltzer water or any sugarless mixer. The problem with drinking alcohol on the Atkins diet is that alcohol contains around 7 calories per gram, compared to 4 calories per gram in good carbohydrates. The calories in alcohol nearly rival the calories found in fat, which contains about 9 calories per gram. You can see how a few drinks with dinner will add up to hundreds of extra calories – not exactly the right choice for anyone trying to lose weight. 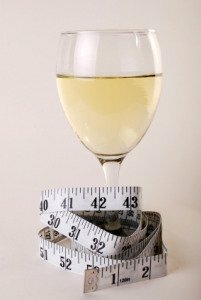 *Dry white wine is your best bet if you are going to drink alcohol on the Atkins Diet. 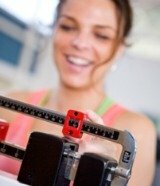 Ideally, you should wait until you are in the maintenance phase and have reached your goal weight before adding drinks back into your meal plan, always with moderation. Don’t think you can skip the margarita and drink straight tequila because it’s zero carbs and therefore permissible on the Atkins Diet. Alcohol still has a lot of calories, but it also is the first go-to fuel source your body chooses. If you choose to enjoy alcoholic beverages, the Atkins diet suggests that wine is the most acceptable selection but only after the induction phase.